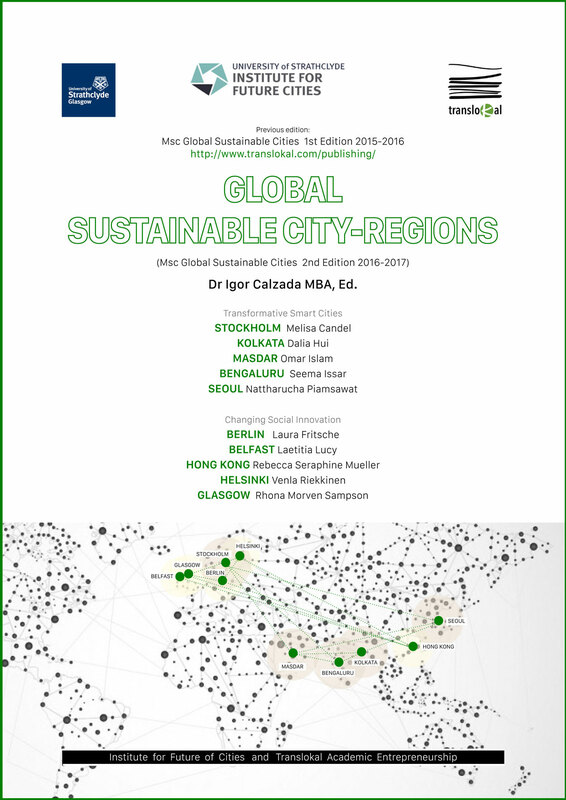 This policy report about the 2nd Edition 2016-2017 of the MSC in Global Sustainable Cities, entitled ‘Global Sustainable City-Regions,’ covers the work developed jointly by the lecturer, Dr Igor Calzada, MBA, as the editor of the publication and students/participants of the second edition of the MSc from September to December 2016 at the Institute for Future Cities in the Business Faculty at the University of Strathclyde in Glasgow (Scotland – UK). 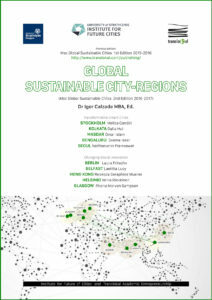 The policy report focuses on three urban global issues in a comparative basis. The MSc was developed in a team-based dynamic by applying qualitative action research methodologies to understand and interpret each case and to benchmark and contrast with other cases that addressed the same global urban issue.